The University of Benin, UNIBEN JUPEB Admission Form for 2018/2019 Academic Session is now on sale. See how to apply below. The University of Benin, UNIBEN, in collaboration with the Joint University Preliminary Examinations Board, (JUPEB), is inviting applications from suitably qualified candidates for admission into the Foundation Programmes for the 2018/2019 Academic Session. Applicants seeking for admission into the UNIBEN JUPEB Foundation Programmes must possess minimum of five (5) credit passes at not more than two sittings. 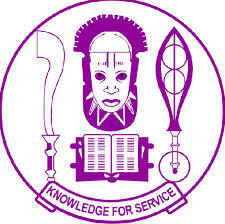 Interested candidates are to purchase the JUPEB Foundation application forms online from the university portal; www.uniben.edu with valid VERVE VISA OR MASTERCARD ATM CARD from any commercial bank in Nigeria for the non-refundable application fee of Fifteen thousand Naira (N15,000.00) The fee excludes bank charges. The University of Benin JUPEB Entrance Exam into the Foundation Programme will hold at the premises on SATURDAY, August 25th 2018.